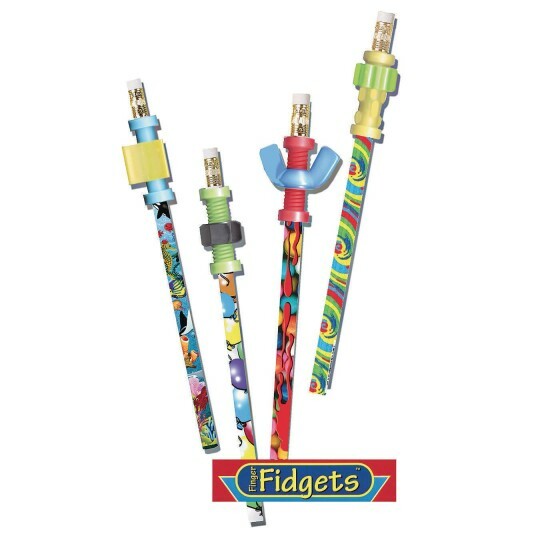 Wood-cased, designer-tipped pencils with attached Designer Fidgets are perfect for keeping hands occupied. Assorted colors and styles. Great product for the classroom.